Marty Aronson’s practice encompasses many types of commercial litigation, including condemnation, and other real estate litigation. His commercial litigation experience includes cases ranging from breach of complex contracts to auditor liability to disputes over corporate duties/control. His real estate litigation cases include virtually every kind of real estate issue, including condemnation, land use, zoning, contract disputes and referenda. 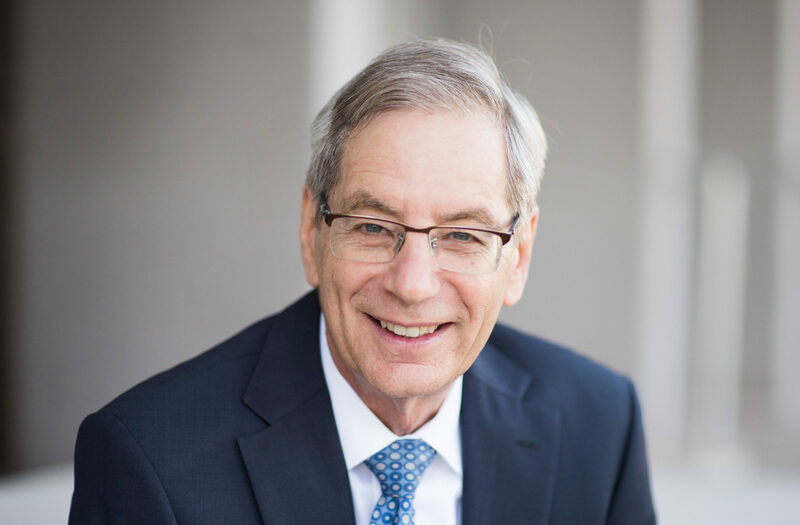 Aronson began his legal career in San Francisco with the firm Cooper, White & Cooper, eventually moving to the Phoenix area to join Beus, Gilbert & Morrill in 1983. In 1997, he opened his own firm, Morrill & Aronson PLC, specializing in Business Litigation, Real Estate, and Land Use/Zoning law. Aronson is admitted to the bar in Arizona and California, as well as the U.S. District Courts: District of Arizona, 1983; U.S. District Court, Southern District of California, 2000; U.S. District Court, Central District of California, 2003; and, the U.S. Court of Appeals, Ninth Circuit, 1975. Prior to his legal career, he was a Teaching Fellow at Stanford Law School, a television news reporter in Wisconsin and a United States Congressional candidate. As an active member of the greater Phoenix community, Aronson was a Foundation Board Member of Honor Health Foundation and John C. Lincoln Foundation for ten years. He has served on multiple political committees and is a respected lecturer for a variety of CLE courses. Martindale-Hubbell has awarded Aronson its highest “AV Preeminent 5.0 out of 5″ peer-review rating for legal ability and ethics. Aronson was named Lawyer of the Year in Phoenix for Eminent Domain and Condemnation law in both 2014 and 2017 by U.S. World News and Report. He has also been named to the Best Lawyers in America and Southwest Super Lawyers, 2007 – 2019. After graduating from the University of Illinois with a bachelors degree in Finance, Aronson continued his education at Stanford University, receiving both a masters degree in Broadcast Communications and a juris doctorate from Stanford Law School.